What you need to know going into 2018... The rules have changed. Learn from the leading analysts in your area! Your presenters designed this 3-part presentation to bring retirees up to speed with the challenges and questions one might face during retirement. 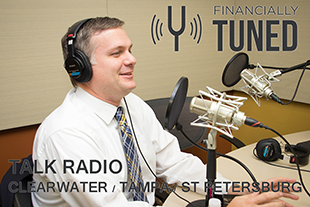 Get informed and take control of your retirement today! Are you getting the most out of Social Security? 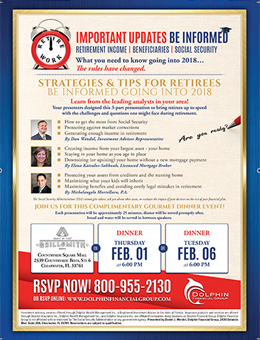 Attendees will receive a customized Social Security Maximization Report detailing specific options they can take based on their unique situation. Do you know the best strategy to claim your Social Security benefits? 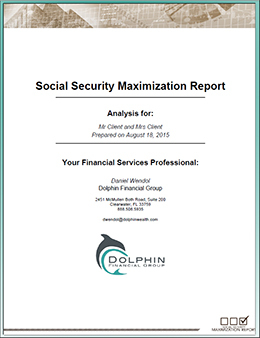 Our maximization report provides the specific details people need to make informed decisions about Social Security. 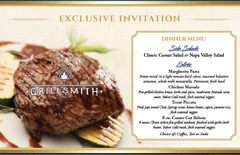 It is customized based on the specific information of each client or couple. The report will provide several different detailed scenarios on how and when to claim Social Security to get the most financial benefit from the program. You have spent a lifetime earning it, spending it, and hopefully, accumulating it. When the time comes for retirement, you want your money to provide you with a comfortable lifestyle and stable income after your working days are over. A Retirement Reality Check: Are You Doing What You Should Be Doing? by Daniel J. Wendol. You have spent a lifetime earning it, spending it, and hopefully, accumulating it. When the time comes for retirement, you want your money to provide yo with a comfortable lifestyle and stable income after your working days are over.